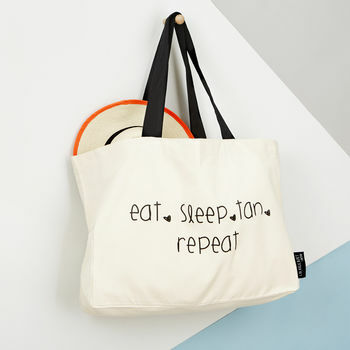 A fabulous and witty tote bag made using high quality canvas with a range of strap colours to choose between! 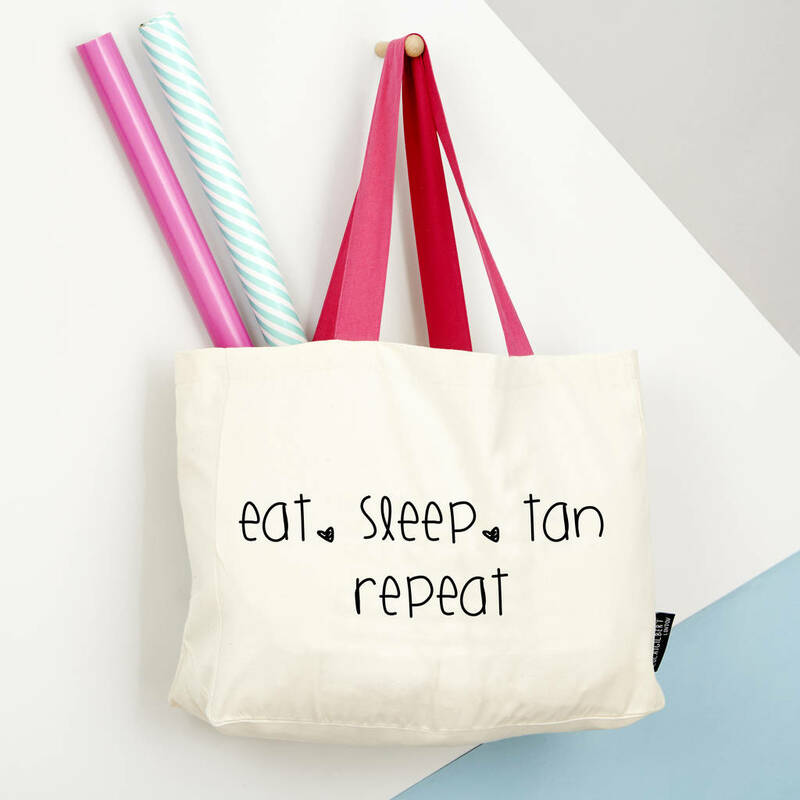 Perfect for Holidays and Summer! 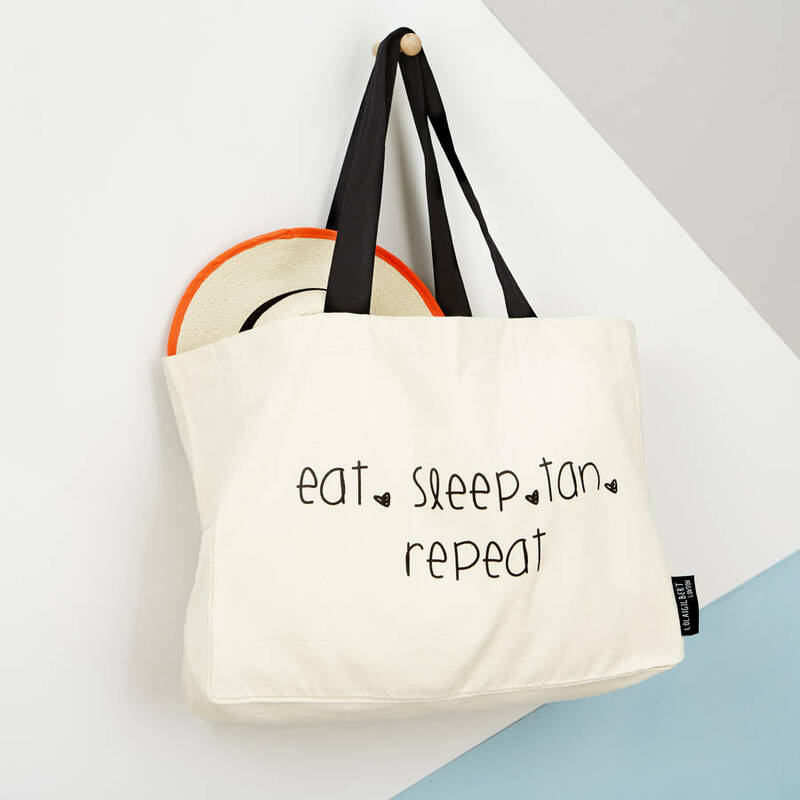 Each bag has been lovingly hand screen printed and designed in London and it makes a fun gift, or of course, a treat for yourself! 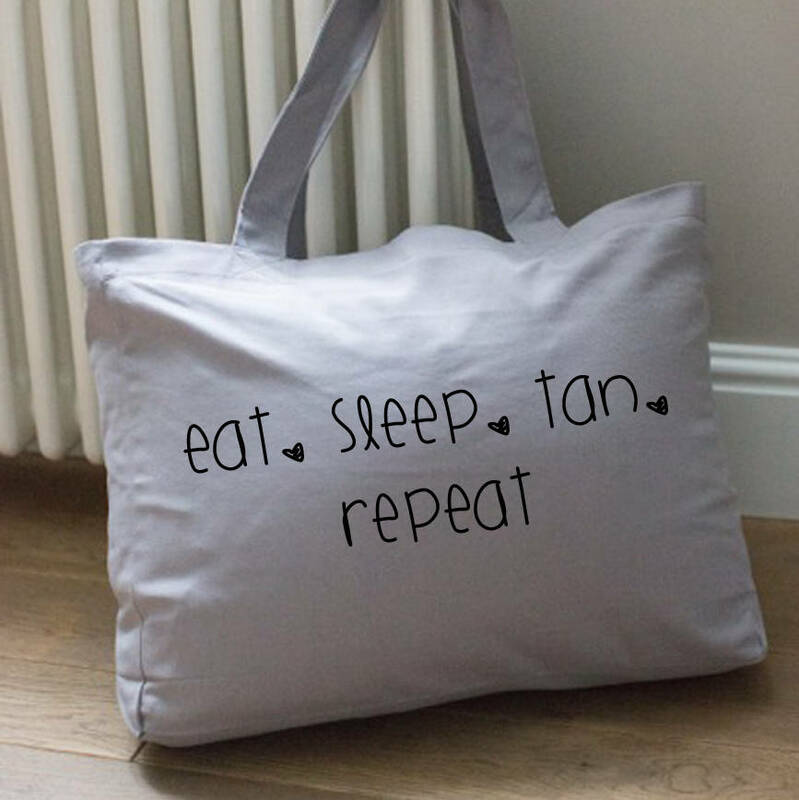 The tote bags are made using the highest quality, thick canvas with strong handles, perfect for loading up with champagne or milk! In fact it's perfect for shopping, books and other bits and pieces. Available with pink or black straps or all grey.